Order today at 15% off! BONUS: Get an "easy access" PDF version to download right after ordering through the PassPorter Store! 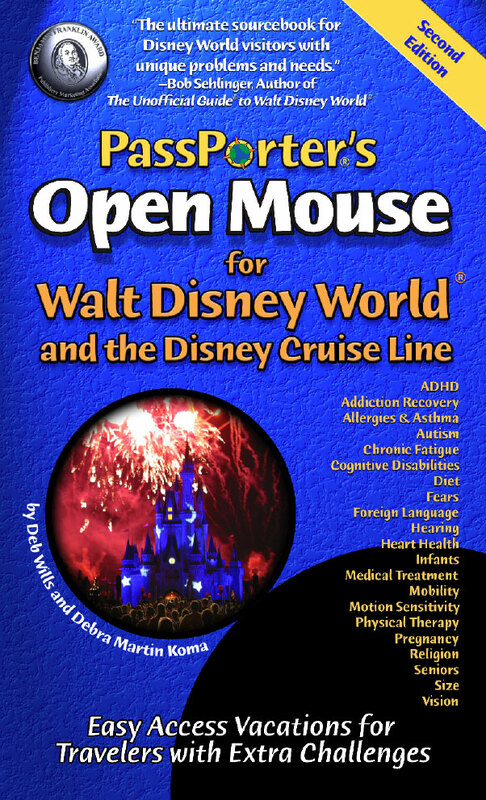 Note From the Publishers: "PassPorter recruited authors Deb Wills and Debra Martin Koma, respectively founder/publisher/editor and senior editor of AllEarsNet ( http://www.allearsnet.com), the most often cited and respected independent guide to Walt Disney World on the Internet. As Dave Marx explained, "We knew Deb and Debra would be perfect for the job. Their input as expert peer reviewers for our 'regular' Walt Disney World guidebook has been invaluable. Deb's site already contains many valuable articles addressing what we consider 'special challenges,' and AllEarsNet's sensitive, comprehensive, accurate, and eminently readable approach to travel information was just what we needed. They have the expertise, they have the skill, and they have the desire. What more can a publisher want? We are pleased to publish their valuable information and expert advice!" Deb Wills saw Walt Disney hosting his Sunday evening "Wonderful World of Color" television show and promptly fell under the spell of the Disney magic. As a child, she visited the 1964-65 World's Fair in New York and enjoyed the original debuts of attractions like It's a Small World and the GE Carousel of Progress. Her first visit to the Magic Kingdom in 1972 signaled the start of a life-long relationship with the popular vacation resort. After she graduated from college, Deb made many repeat visits to Walt Disney World and the Fort Wilderness Campground in her capacity as a rehabilitation assistant with a vacation travel program for special needs adults. Since then, Deb has paid countless visits to the "World" and has sailed on the Disney Cruise Line 13 times. More than 11 years ago, she began the independent Disney Travel Guide web site known as AllEars.net, and in 1999, began publishing ALL EARS(R), a weekly electronic newsletter that goes to more than 86,000 subscribers. When PassPorter publishers Jennifer and Dave Marx approached her with the idea of co-authoring a book about traveling to Walt Disney World with special needs, Deb jumped at the opportunity, realizing that it was the perfect link between her past and present interests. Deb has been a peer reviewer of the award-winning PassPorter's Walt Disney World guidebook series since 2000 and in 2004 joined the review group for PassPorter's Disney Cruise Line and Its Ports of Call. As a breast cancer survivor, she is active in raising funds and awareness through the Avon Breast Cancer Crusade and Susan G. Komen Foundation. A native of New Jersey, Deb now resides in the Washington, D.C., suburbs. Debra Martin Koma, a freelance writer and editor, fell in love with Walt Disney World on her first visit there--as an adult. She's returned to her Laughing Place more than 40 times in the ensuing years, enjoying new and exciting experiences with every visit. For the past eight years, she has enthusiastically shared her passion with others as Senior Editor of Deb Wills' web site AllEars.net and the weekly electronic newsletter ALL EARS(R), writing in-depth reports on a variety of subjects, including the Epcot International Food and Wine Festival, Disney restaurants and resorts, and overlooked attractions in the theme parks. 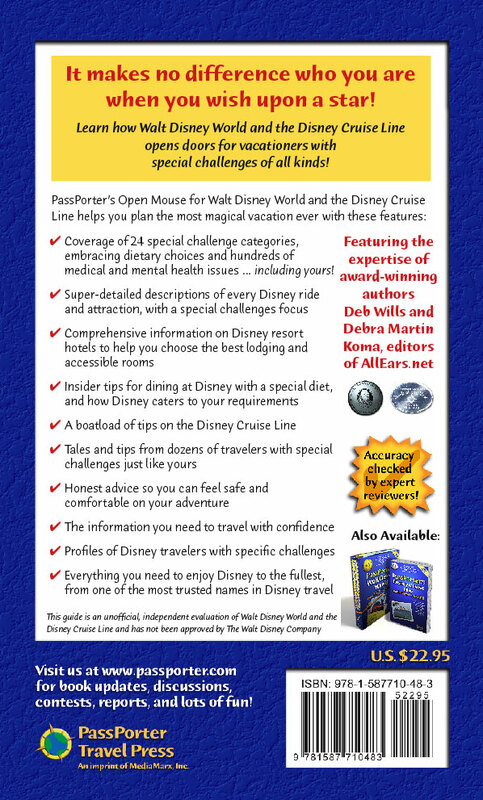 Debra, who has written for many local and national publications, has also been a peer reviewer of PassPorter's Walt Disney World guidebook since 2001. Through her work with PassPorter and AllEars.net, Debra has helped "share the magic" with hundreds of thousands of people. Having grown up with siblings who had a variety of health issues, Debra eagerly signed on when Jennifer and Dave approached her about writing this book, seeing it as a chance to spread a little pixie dust to people who face special challenges when traveling. A native of Pittsburgh, Debra currently resides in Northern Virginia, just outside Washington, D.C., with husband Brian, teenage son Alex, and furry, four-legged son, Dexter. 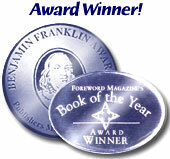 Read more about the authors in this in-depth article. View 40 actual pages from inside Open Mouse ... free of charge! Read more about PassPorter or advertise with us.